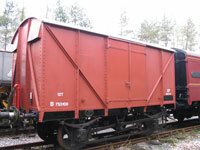 We own a small fleet of wagons to help maintain our locos. We try to keep them in reasonable order to blend in with the historic railway scene and to run on galas and demonstration /photographic freight trains. 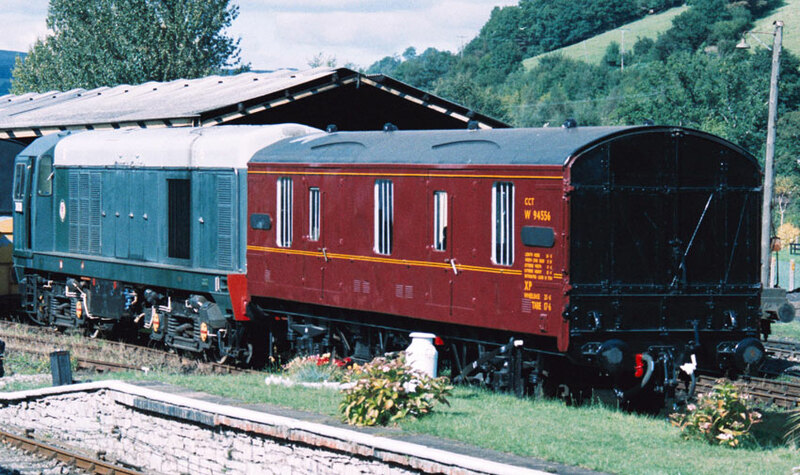 We tend to favour early BR liveries as they work with both our diesels and the SDR steam engines. CCT Stands for "Covered Car Transporter." W94556 was built at Earlestown Dec 1960 to Dia. 1/886. I don't know how much car transporting they did, but I suspect not much. They were certainly used in their latter years for carrying mails, parcels and newspapers until that traffic started to dry up. They were scrapped first as the four wheeled design wasn't as stable or space efficient as the GUVs that were the bogied equivalent. 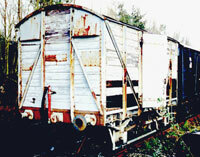 This one finished it's BR days as the riding van to the Exmouth Junction Ballast cleaner. We acquired this one in 1995, it was delivered by rail to Totnes. We thought we welded a lot of metal into it when we restored it, but it paled into insignificance compared to the other one! M94852 was built at Earlestown Apr 1961 to Dia. 1/886. 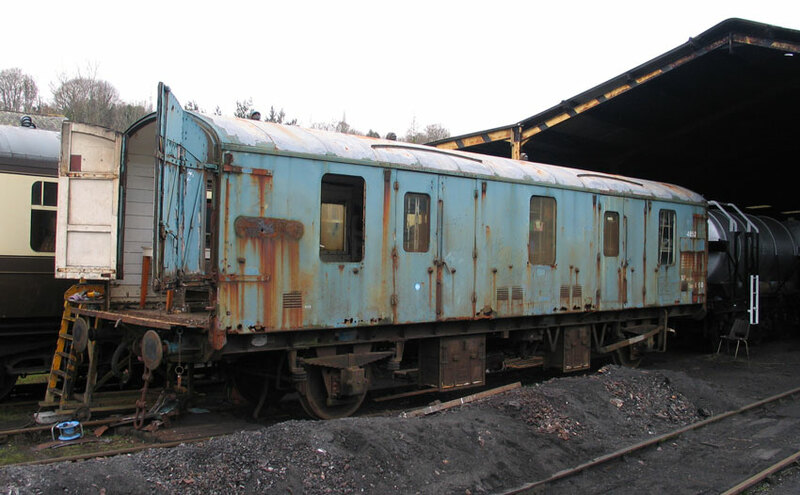 We know little of it's service life but it ended it's days as a stores shed at Laira Diesel Depot. We bought it in 2002. 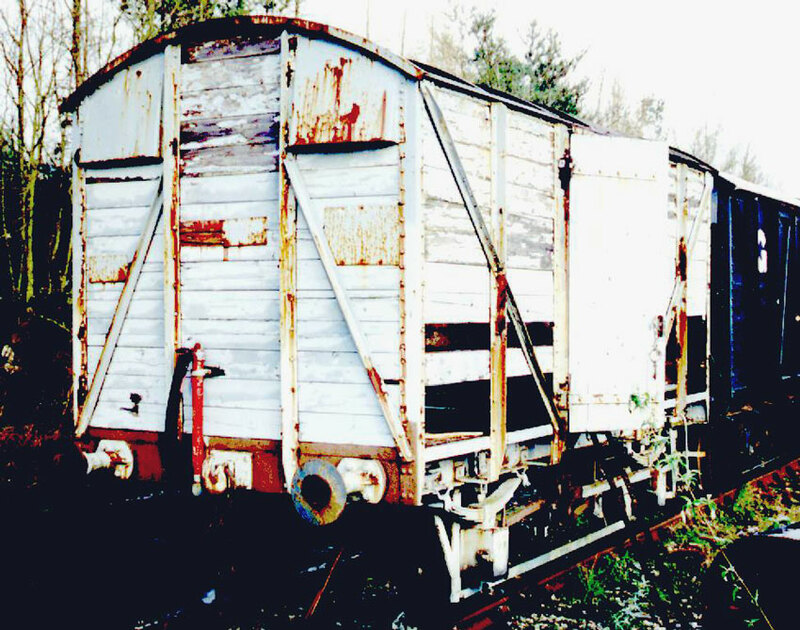 We have started restoring it in 2004. 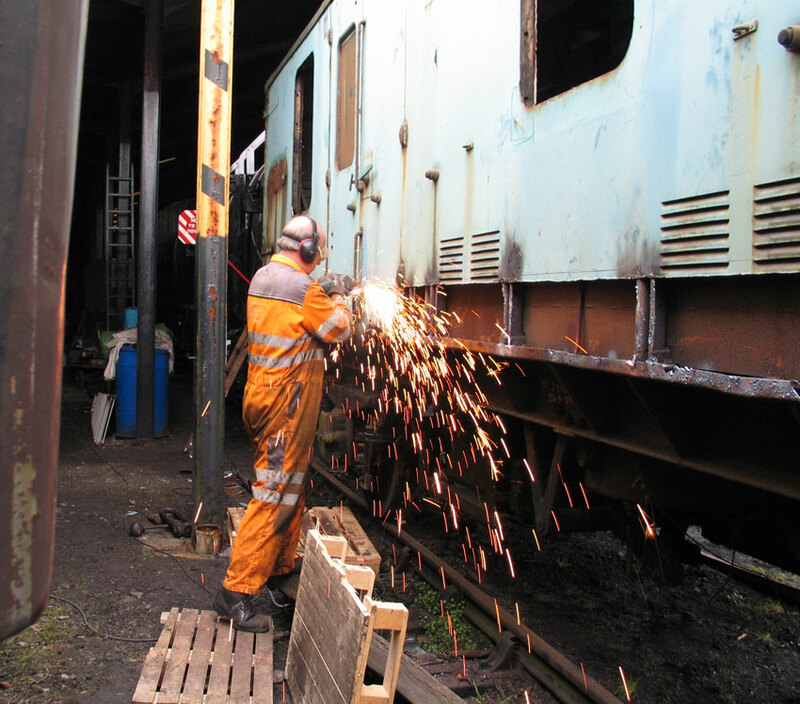 It is having what seems like TONS of metal sheet welded in, a lot of internal woodwork replaced & a wheel bearing and vacuum brake overhaul. Hopefully it will be out on mixed parcels trains this summer. 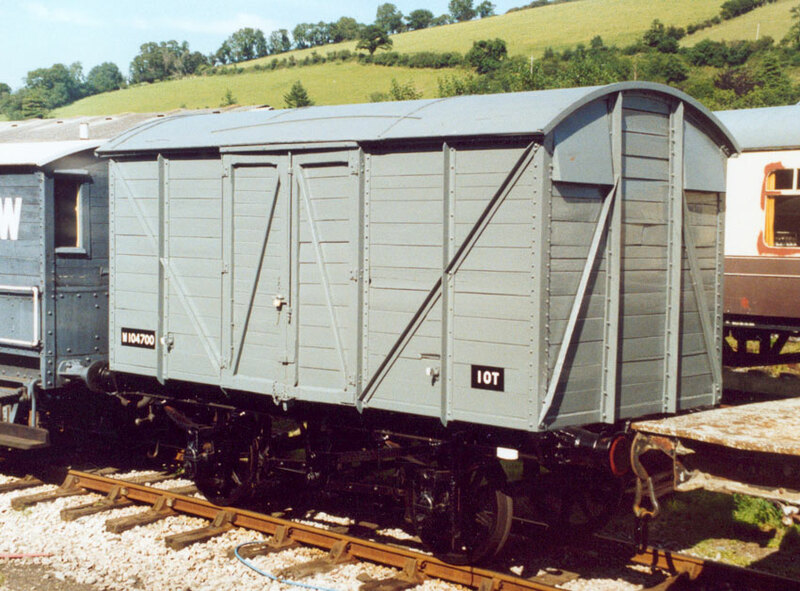 104700 Was built in 1930 at Swindon. 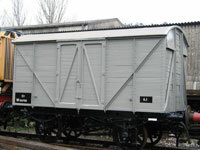 This is a traditional GWR 10 ton box van. It was "unfitted" all of it's career, i.e. it had no automatic brakes, just the hand brake you can see on the side. It had quite a checkered history before we acquired it in 1991. 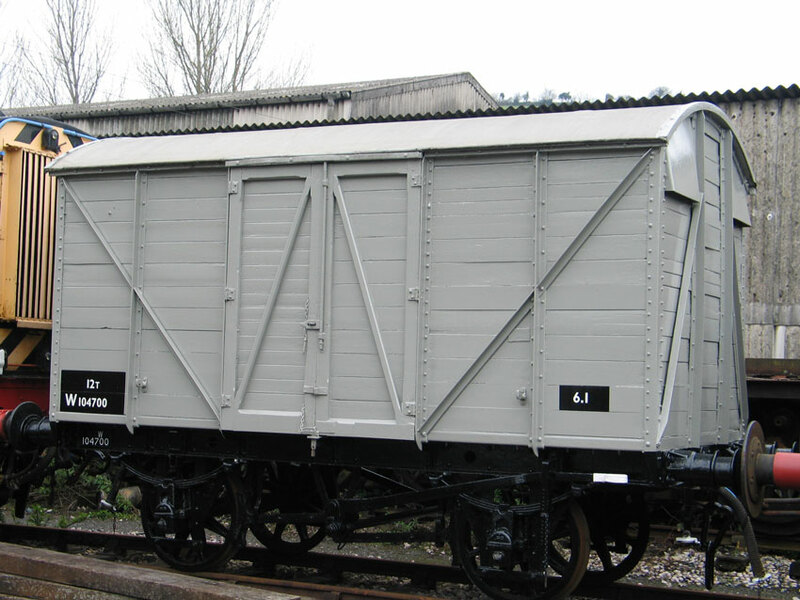 Our first vehicle, it had been owned by The GWR, BR(W), and then acquired by the PLA (Port of London Authority), the Dart Valley Railway , The South Devon Railway Trust and finally us. We restored it from a derelict state. W125814 was built at Swindon in 1925 Diagram V23. 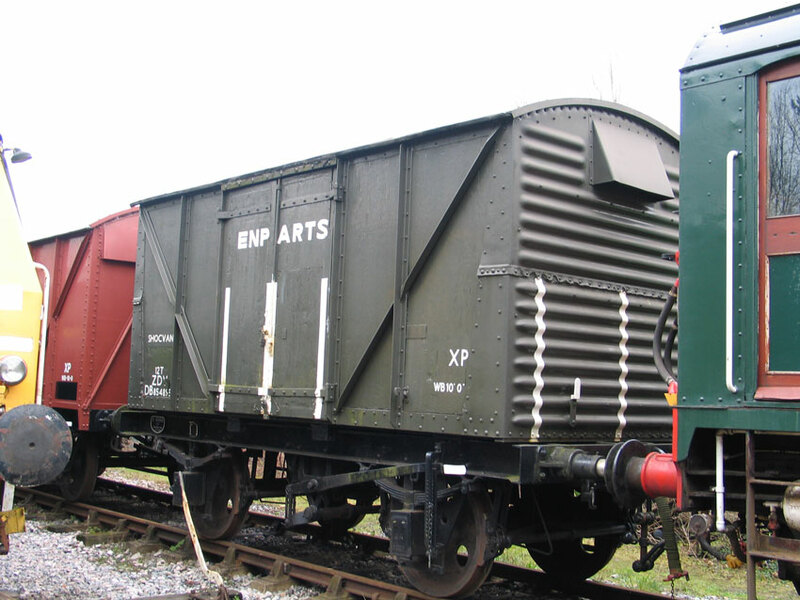 It differs from the mink "A" in having vacuum operated automatic brakes fitted and a much plainer style of door. Whether either of these are original I don't know. 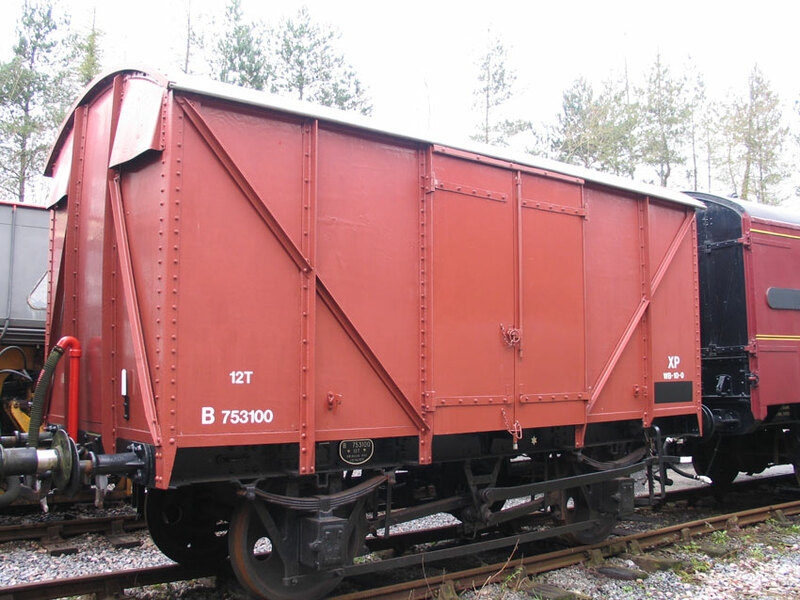 It is painted in BR bauxite livery that denoted it's "vacuum fitted" status, whereas the other's pale grey denoted "unfitted". 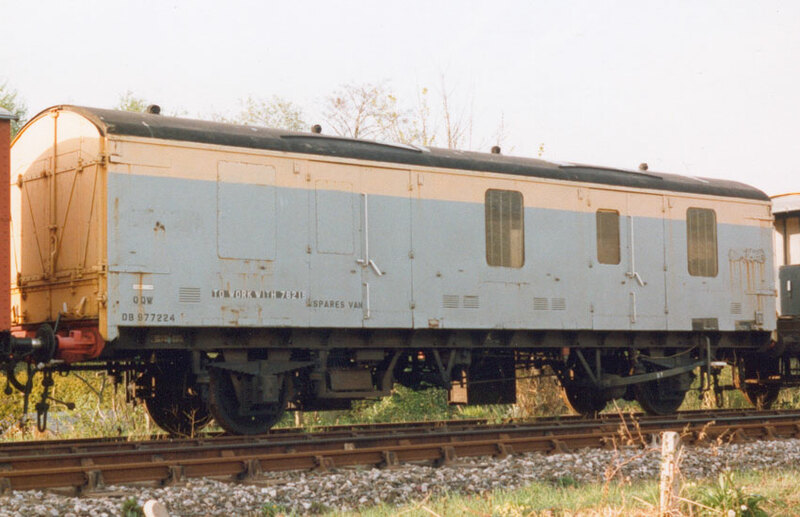 It is now disguised as B753100, which was built in Swindon by BR in 1948 to a Great Western Design, with plywood sides. We copied this to save on restoration costs. As is obvious, it was very derelict when we bought it, so savings had to be made to make it financially viable. It came by the same route as 104700, i.e. GWR, BR(W), PLA, DVR, SDR, and now SDDT. This was built in Faverdale, Darlington, 1958 to Diagram 1/218 as a shock absorbing van. Sold to the Army in 1980 approximately. It was used for carrying "breakables." 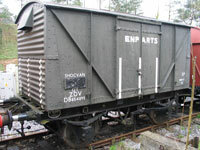 The body was mounted on rubber and used springs to lose most of the "shock" when being shunted etc. We bought it from MOD Kinnerton in 1999. 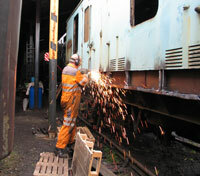 It has needed the least restoration work of any of our vehicles, being in pretty good condition when we bought it.